This image has been converted to black and white.) (EDITORIAL USE ONLY. 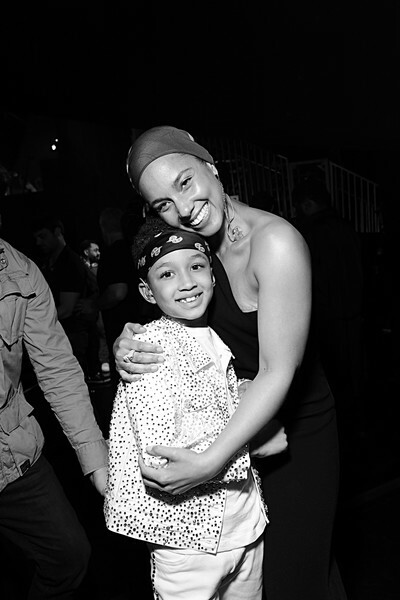 NO COMMERCIAL USE) Alicia Keys and her son, Egypt Daoud Dean attend the 2019 iHeartRadio Music Awards which broadcasted live on FOX at Microsoft Theater on March 14, 2019 in Los Angeles, California.